Shoutout to Cafe Iguana for letting me grace the stage. I’m performing “She Don’t Hear the Words” from my mixtape earlier this year “Young-Black-Ambitious.” Will wasn’t there, so I had to rap his verse. Check it out. Snatched this beat up from this dope producer named DJ Cooley and made a gem. This is that drop top cruisin’ hustler music. My reasons for releasing this song and how I feel about it are summed up in this tweet. Check it out. Last night, I performed two new, unreleased songs at “The Stage” that I’ve recorded since being out here in Miami. The first song is “Young Black Millionaire” and the second is “Nino.” Both of these records were produced by my man Ice Beatz. We’re working on a project right now. I waited to release this song because I feel like it’s one of the best joints I’ve made in a long time. I took my time mixing it and getting the levels right (like I do with all my songs, but I gave special attention to this one). It’s a gem. Brad Massey killed this track. My verses were drawn from a very dark place. This was written and recorded in Monroe but the final touches were down in Miami. Check it out. 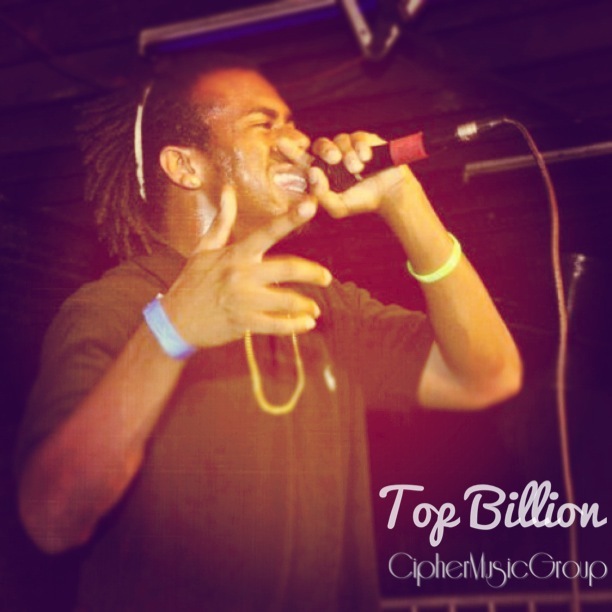 The original CipherMusicGroup is Top Billion, Will, NoTy, Chris-Style, and Brad Massey. This is a song recorded in the summer of this year in Monroe, LA from Top, Will, and NoTy with Brad on the beat.